We are now a full quarter into 2018, with an amazing last month in our rearview mirror. We couldn’t have wished for a better segue to the coming miles of our journey! Doesn’t it feel just great to get some pats on the back! We are beyond stoked to be featured in the Fortune 40 Under 40 Classics List. In some more happy news, we were named One of the Best Startups to Work For by Aasaanjobs. We were at #SDGDataLK (Sri Lanka) to unveil our Sustainable Development Goals Tracker Dashboard that helps countries in monitoring their progress towards the UN SDGs. Stay tuned to learn how we will achieve the Agenda 2030 together! Getting to meet you and other dreamers around the world is always special for us and March gave more than one chance to make it possible! We were at the MERL Tech Conference in the UK sharing our ideas. Back home, we hosted a Google Cloud Platform Event to talk about innovation and technology. 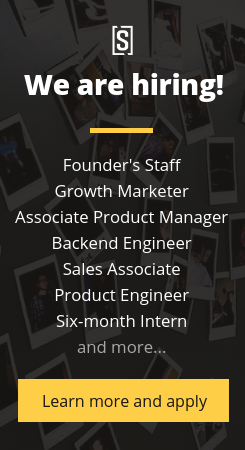 The Sales Team at SocialCops doesn’t exist to just sell, but to solve problems! We never say, “This is our platform, and this is what it can do. You should buy it.” In fact, every conversation is driven by a genuine desire to listen and learn about an organization’s problems. Read more to know what makes our Sales Team unconventional. Understanding the difference between mission and purpose, parsing some complex ideas easily, and designing products that please — here is some food for thought! At SocialCops, sales isn’t just about selling. It’s about solving big problems, building trust, and delivering value. Sounds nothing like the conventional sell-me-this-pen sales job? That’s because it’s not! Come be a part of our unique Sales Team. Learn more and apply here.